Little Grey Fergie had a great time touring the UK this summer! Fergie and his friends starred in a series of live, fun-filled family shows, with sing-alongs and the chance to meet the characters. Watch the video to see some of the mischief Fergie got up to! Meet Fergie. 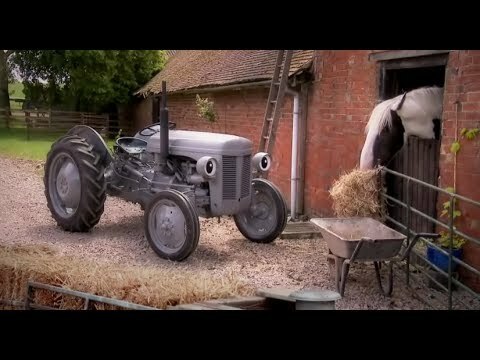 The little grey tractor with a secret - he's alive! Little Grey Fergie is a world of stories and activities for kids aged 3-6. Fergie's online home is a place for kids and grown-ups to watch videos and play together. 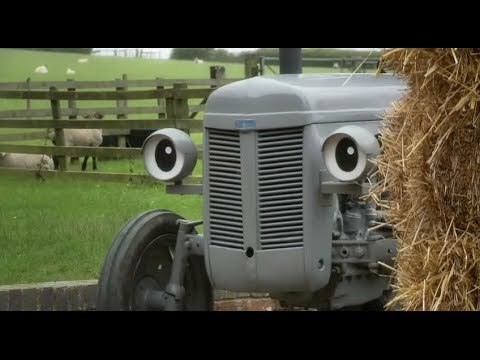 Kids can get to know Fergie, his farm and his friends in seven bite-sized videos: A Week With Fergie. Each episode has fun stuff to enjoy and plenty of ideas to get kids exploring the things Fergie cares about. 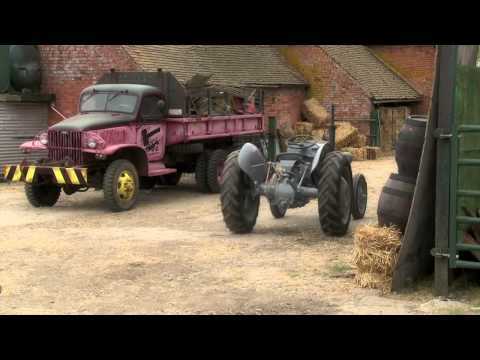 That's what makes Little Grey Fergie a bit different. We want to help get kids talking about the world around them, and the opportunities to play away from the screen. 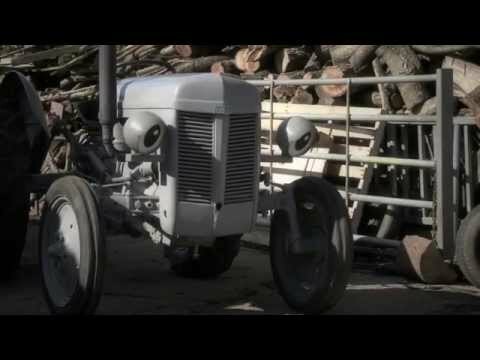 Little Grey Fergie was created by Norway's Fanstasi-Fabrikken and Gråtass (his Norwegian name) has become a cultural phenomenon since 1995, captivating the imagination of children all over Norway. After several television series, two feature films, ten music albums, live shows, and more than fifteen books, Fantasi-Frabrikken decided it was time to bring Fergie home to the UK. Get to know Fergie and his friends - Farmer George, Gramps, Daisy, Clunky, Pony and the not-so-friendly scrap dealers!